1990 – Heading For Tomorrow Stickers. Stickers from Heading For Tomorrow disc, Japanese version. 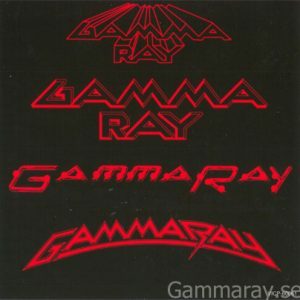 1990 – Gamma Ray Logo Sticker. 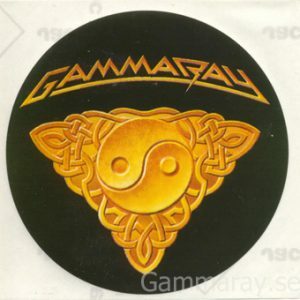 Old Gamma Ray logo sticker. 1994 – Insanity And Genius Sticker. 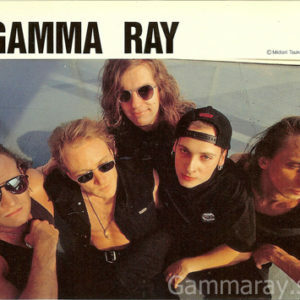 Sticker from Insanity And Genius -era. 1994 – Tribute To Japan ´94 Sticker. From the Insanity And Genius Japan Tour 1994. 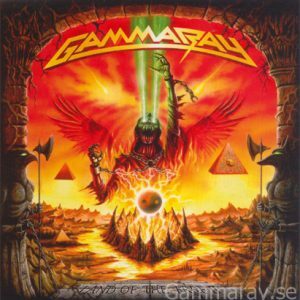 1995 – Gamma Ray Tribal Sticker. From Land of the free -era. 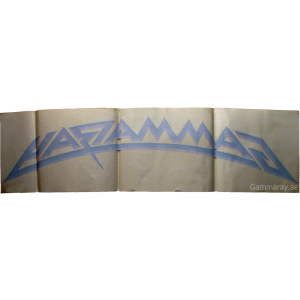 1997 – Somewere Out In Space Stickers. 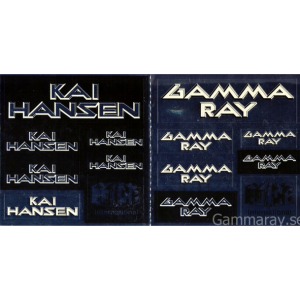 Stickers from Somewhere Out In Space disc, Japanese version. 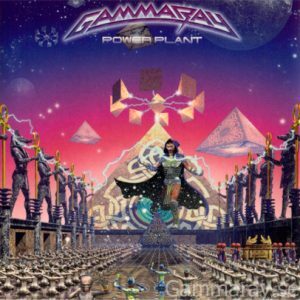 Sticker from PowerPlant Cd Japanese version. 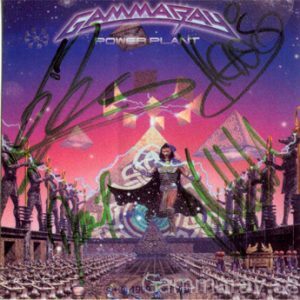 PowerPlant Sticker signed by Kai, Dirk, Henjo & Dan. 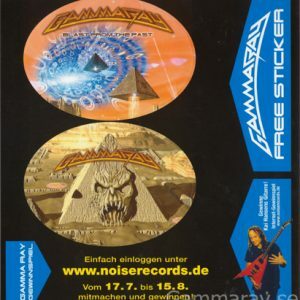 2000 – Blast From The Past Stickers. Blast From The Past Promo stickers. 2007 – Land Of The Free Part II Stickers. 1 signed by Kai, Dirk, Henjo & Dan. 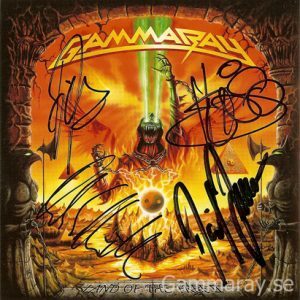 2008 – Hell Yeah !!! – Sticker. Hell Yeah!!! The Awesome Foursome sticker, signed by Dan. 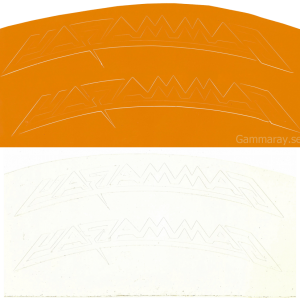 2 Gamma Ray windows stickers. 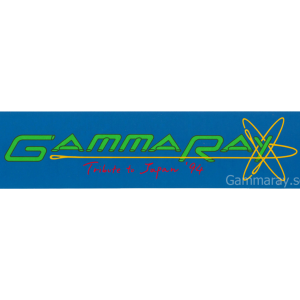 Big Gamma Ray Car Sticker. 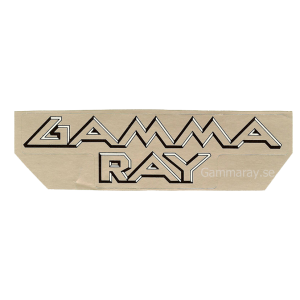 2 Gamma Ray logo stickers. 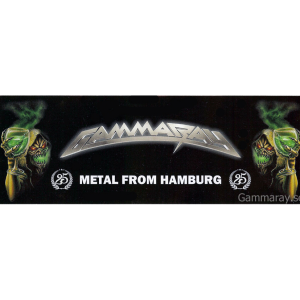 2015 – Metal From Hamburg – Sticker. From Best of the Best Party Tour 2015.